Change Your Life Forever. Hollow Rock has a great program for youth! Packed with fun & adventure, solid Bible teaching and age specific discipleship. 11:00pm - Get some ZZZ! 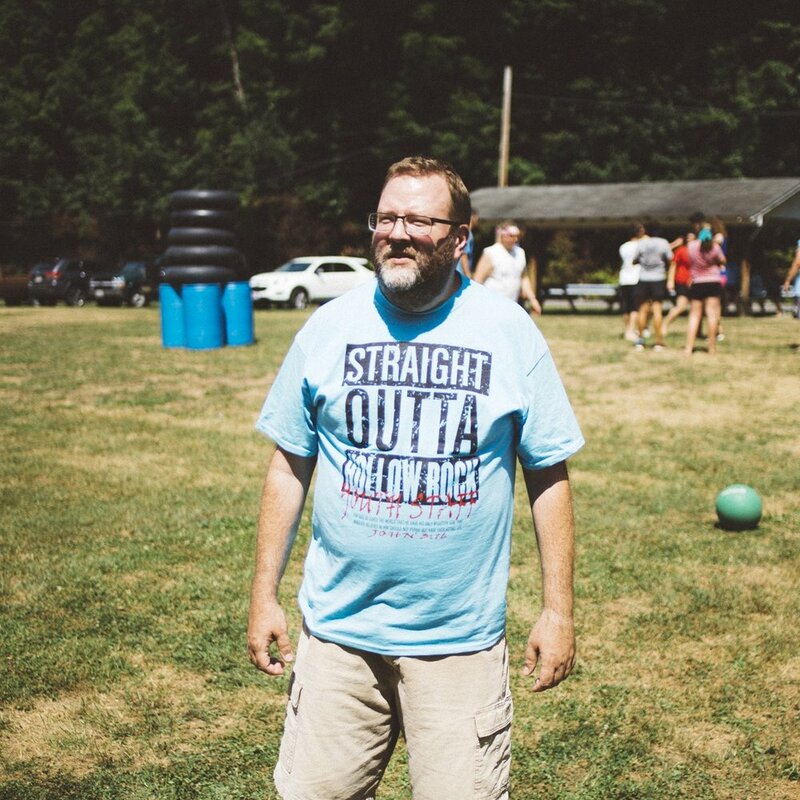 Jon has been coming to Hollow Rock since infancy and fearlessly leading our youth since 1995. Born and raised in the town of Waynesburg, Ohio, Jon is a graduate of Ohio Christian University with a Bachelor of Arts in Christian Ministry & Missions. At OCU he met his wife, Jodie, and throughout their marriage they have served in youth & children’s ministry. The Truexs have five children – Jeremiah, Kiirsten, Lauren, Mackenzie, and Natalie. In his free time Jon enjoys basketball, golf, 4 wheeling/go carts, and pelting teens with paintballs. Michaele Kane has also been coming to Hollow Rock since infancy and has been faithfully assisting our fearless leader in serving the youth for an unbelievable number of years! *Early-bird registration must be received by July 5, 2019. Registrations received after July 5 will be $150.00 or $15.00/day. All teens must register upon arriving on grounds. 2. Register as cottage lodging without meals @ $5.00/day. Each student will need a Medical Release Form if no Parent/Guardian is present at camp. Casual Dress is considered Jeans & T-shirts. To the Ladies: Casual Dress can be worn during meals at the cafeteria and morning services. We encourage you to wear dress slacks and a nice top for the evening services. NOTE: Spaghetti strap dresses and tops, mini-skirts, strapless tops or dresses, midriffs, short-shorts, halter/tube tops, and the like are not acceptable attire for camp. To the Gentlemen: Khakis and collared shirts are the norm for evening services. Casual Dress is appropriate during meals and morning services (see above). Try to avoid wearing Jeans & T-shirts to evening service. - All under-attire has to be covered and not visible. - Shorts can be worn during recreation and afterglows.